These shrunk-down, ramped-up versions of the MBM-27 and MBM-29 Field Easels offer the same quality with even more functionality in a compact and convenient package. 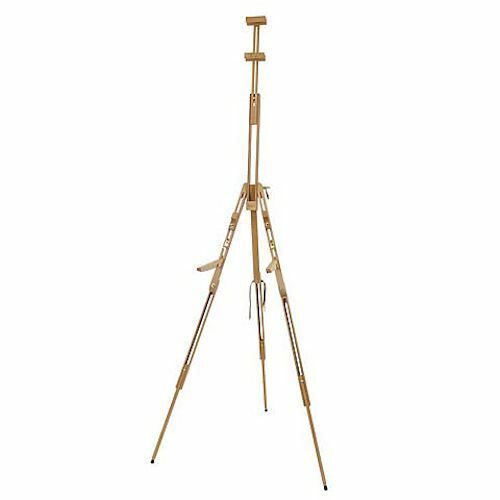 Carefully constructed of oiled beech wood, these portable easels can be adjusted for floor or table use. They can also be folded up small enough to fit in a bag. The pivoting canvas holder allows the working angle to be adjusted to any angle between vertical and horizontal. Each easel has two canvas holders, allowing them to hold two canvases at once. MBM-27M features two folding shelf brackets to accommodate a pastel box. The maximum canvas height is 39.4". 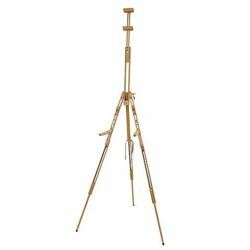 The overall maximum height of each easel is 73.25". At their smallest they fold to 5"w x 3.5"d x 21.5h". They can support a maximum weight of 11 lbs.